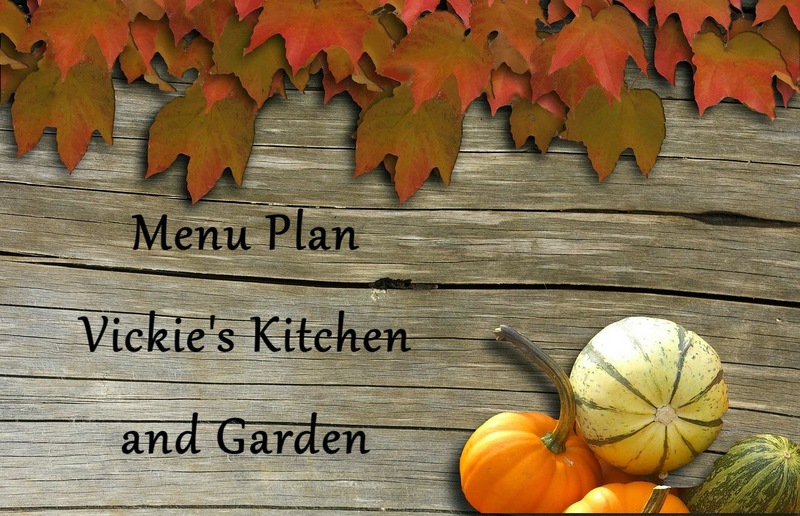 Vickie's Kitchen and Garden: Menu Plan for the week of 11/16/14~ The husband was away. Need I say more? Menu Plan for the week of 11/16/14~ The husband was away. Need I say more? to see relatives. So for four days while he was gone we ate all the things he really doesn't care for and I took a break from cooking big meals. What doesn't he like to eat but will if it's the only thing being offered on the menu plan? Believe it or not, tuna with boiled eggs in it and Sloppy Joe's. So I made both this past 4 days and the rest of the time we had Marie Calendar t.v. dinners (they were on sale for $1.78 at Kroger this week). I waited to do this menu plan till he came home this evening. He told me they had stopped in at the Mennonite meat shop on the way home and I waited to see what he had brought home. So we start our week with their wonderful smoked pork chops and sliced smoked ham.